The idea was a simple one really. Go to the woods with the dog (Smithy), make a cup of tea with the IKEA hobo stove and read a book. What could go wrong? Nothing really, apart from a little bit at the end of the day, and even that turned out well. 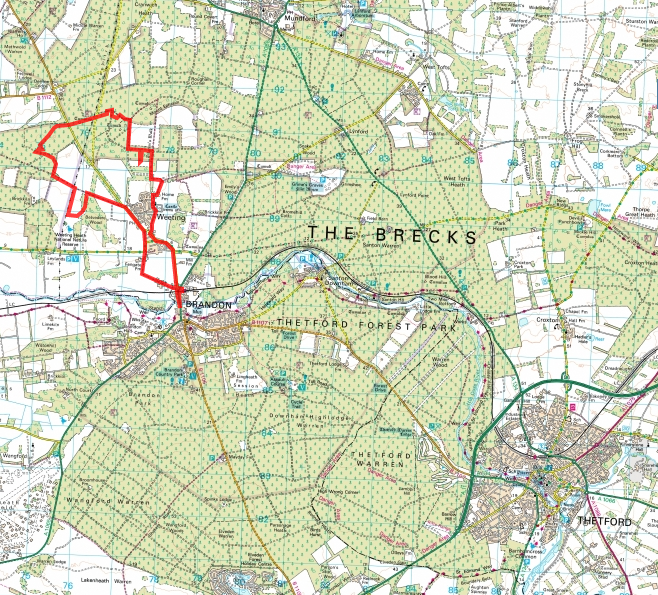 A subsidiary idea was to look for potential wild camping spots, more on that later. I chose Thetford Forest as it is two stops on the train from where I live and is HUGE. I mean, when I lived in London I thought Hampstead Heath was large (320 hectares) and Epping Forest even larger (2,476 hectares) but both are tiny when compared to Thetford (9,000 hectares). You can easily spend a Saturday in Thetford Forest and not see another person (try doing that on the Heath or in Epping), this is the East Anglian wilderness at its finest! I left Ely with Smithy pulling me along enthusiastically. It must be difficult being a dog sometimes, you never quite know if this walk will be a quick 10 minutes around the block or a long 10 miles through the woods. By the time we hopped on the train to Brandon, Smithy had worked things out. He was a happy boy. We arrived at Brandon just after nine. An overcast day with a chill in the air, that didn’t matter to us, we were out in the countryside again, looking for adventure! I decided on a section of the forest I’d not explored before. 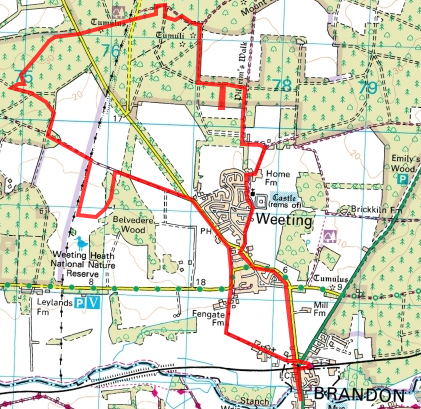 We walked towards the village of Weeting and thirty minutes later were making our way down a tree lined corridor towards the forest. All in all our hike was in the region of ten miles. I used the compass quite a bit as I wasn’t always 100% sure where I was. Eventually, after following a narrow trail for a while, we spotted what looked like a deer track and took that into a clearing in the forest. It was a good spot to stop. I hung the hammock between two trees and carefully manoeuvred myself onto it. Ah it was just what I had hoped for, lightweight and really easy to put up. Why hadn’t I thought of this years ago? With the hammock in place, I stuffed the hobo stove with paper and dry kindling that I’d brought with me. 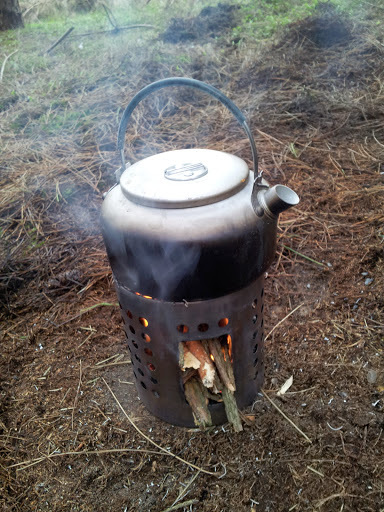 A few minutes later I had a good fire going and the kettle on the boil, all ready for a cuppa wild tea. With the tea I ate a cornish pastie. It was hard to focus on the book as I kept stopping to feed the stove. I decided on another tea and filled the kettle up once more. I was drawn to watching the fire within the stove and savouring the feeling of being there in the wood with the heat and colours of the fire and the smell of the burning wood. 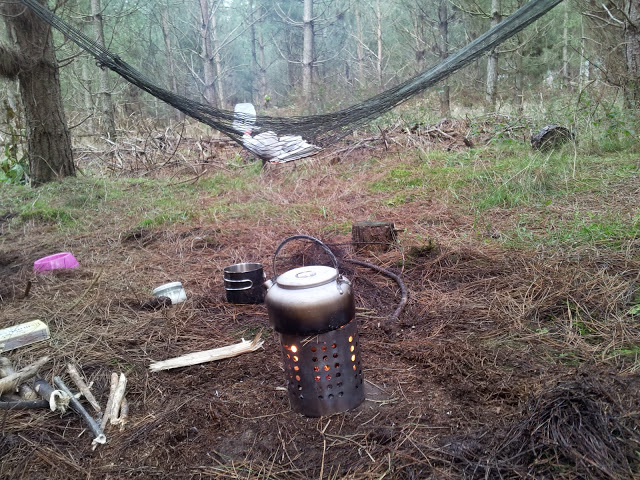 Eventually I just sat there in the hammock, grinning at the stove and loving the peace of the forest. Smithy was happy to take it easy, but only for a short while. He soon stared hinting that he wanted to get on the move, who knew just how many pheasants, squirrels and rabbits he was missing out on? So I took a picture of Smithy and then a selfie of the two of us, packed up our gear, checked and double checked that no trace had been left, and started on the second half of the walk. And what about the wild camping locations? Well, yes, I found a nice looking spot under the tree in the photo below. I imagine that could be lovely on a clear night in a bivvy bag. I saw some other potential locations in the woods themselves (kind of hard not to do so considering the size of the forest), so hopefully I’ll be back in the spring for a night out under the stars. A night under a lovely old tree? The return walk was pretty uneventful, we took the wrong turning just once, though that ‘just once’ was going to come back to haunt us at Brandon station. 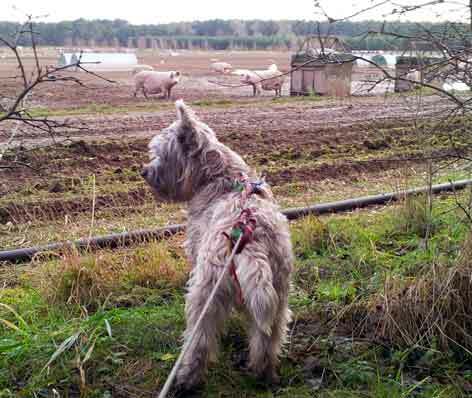 We passed a pig farm on the way back which fascinated Smithy, he wasn’t quite sure if they were for hunting, herding or being pals with. We passed by the village of Weeting but sadly didn’t have time to look properly at the castle or very pretty church. We were on a race against time to arrive at Brandon station in time for the train. As it turned out we missed the train by 30 seconds, which was a little frustrating as the next train was not for another hour. So what does one do in such a situation? Easy, one goes to the pub. We headed for the Ram which is a fine old pub dating back to the 1300s. I’d stopped there before on other hikes but not with a dog. 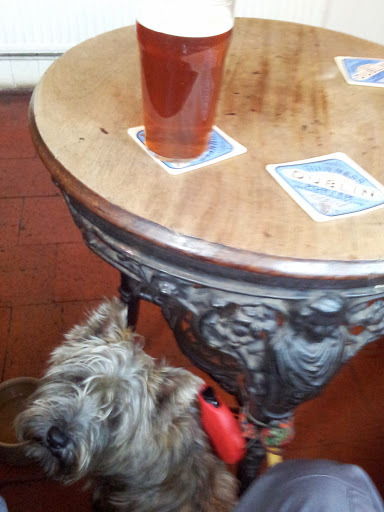 Luckily the landlord was happy to have Smithy in the bar area and even brought him a bowel of water (though I think Smithy was hoping for a Scooby snack). I sat back and enjoyed an excellent pint of Wadworth 6X, the perfect end to a day in the woods. Ah, a day out in the great outdoors. What bliss. You express your feelings so vividly one feels they are there with you. Looking forward to reading more of the same. Thetford forest is great – I was there many years ago those amazing pie trees! Thetford forest is great – I was there many years ago those amazing pine trees! 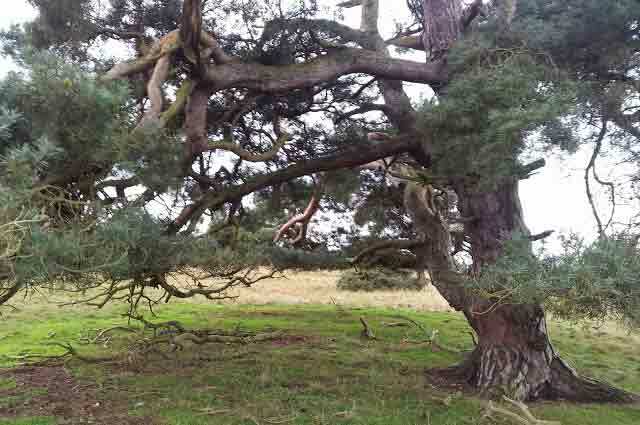 Hi Lorna, glad you enjoyed the post, I agree, the pine trees are amazing, hope you have a great Christmas!